The majority of the learners who arrived late were afforded an opportunity to write their paper. 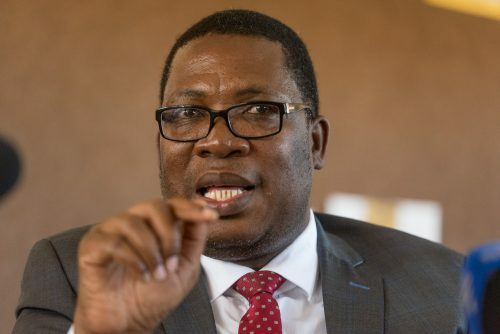 Gauteng education MEC Panyaza Lesufi granted a concession for Grade 12 learners who arrived late for their examinations on Monday morning due to a farmers’ march on various highways. “It is in our best interest not to disadvantage our learners for the unfortunate eventuality, which is beyond their control. It is regrettable that they had to write this important paper under this tormenting condition,” Lesufi said in a statement. The department said all learners who arrived late were allowed into the examination rooms at different centres in the Tshwane and Sedibeng areas, including those who accessed centres beyond the one hour cut-off time. “It is important to note that some learners were also allowed to write at alternative centres,” the department said. The department added that, according to information at their disposal, the majority of the learners who arrived late were afforded an opportunity to write their paper and minimal exceptional cases of learners who might have missed their paper accordingly. Thousands of people took to the streets in different parts of South Africa in the protest dubbed #BlackMonday, raising international awareness on the attacks and killings of farmers in the country. Several major roads were blockaded in Cape Town and in Pretoria.